Geometry 3-D Composite Space Figure projects. 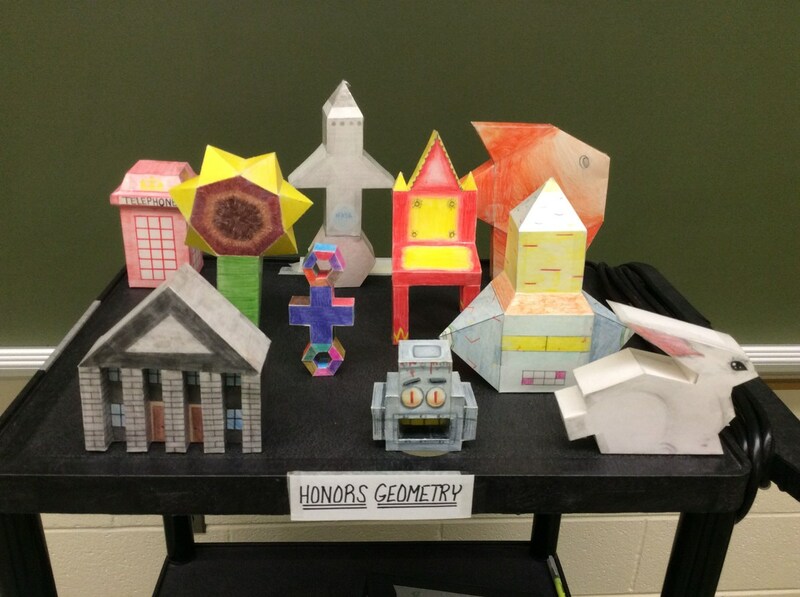 Mr. Spayd's Honors Geometry classes made 3-D Composite Space Figures and competed for top prize as per student vote. 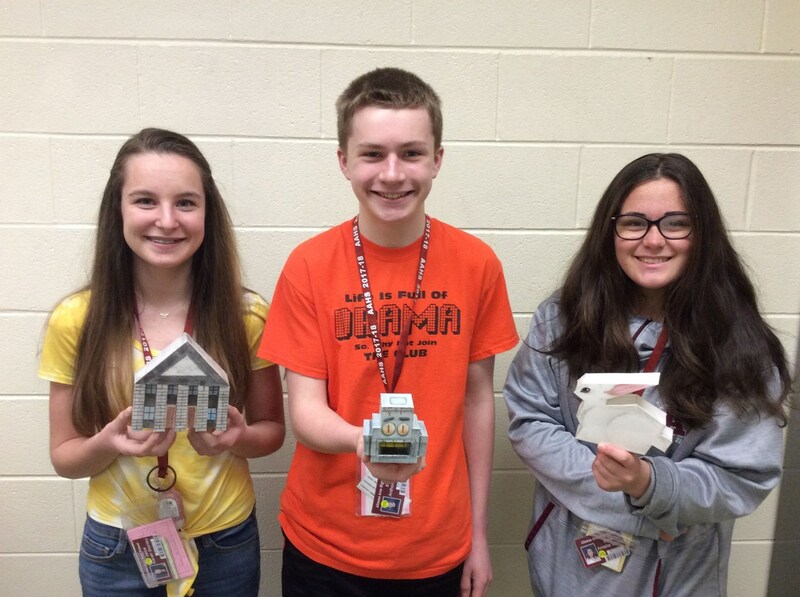 then All A.P. Statistics students vote for the Top-3 winners.